Adult and Pediatric ENT provides both medical and surgical management of disorders of the ear, nose, and throat as well as comprehensive audiology and allergy services for adult and pediatric patients. This practice utilize the most up-to-date technology to treat a broad range of head and neck conditions, including sinusitis, allergies, snoring, sleep apnea, chronic ear infections, hearing loss, tinnitus, dizziness, voice disorders, head and neck cancer, thyroid disorders, and chronic sore throat. Adult and Pediatric ENT also offers a full range of audiology services, including hearing aid sales and service. I completed my undergraduate degree in biology at New York University. I graduated from New York Medical College in 1992 and was a member of the Alpha Omega Alpha Honor Medical Society. I completed my otolaryngology training at the University of Southern California in 1997 and continued my training in pediatric head and neck disorders at the Children’s Hospital of Los Angeles. I am a board-certified otolaryngologist practicing general otolaryngology. 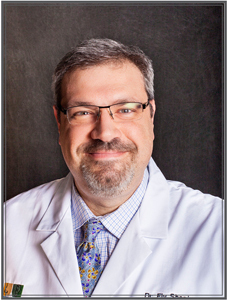 I have been in private practice in southern Michigan since 1998 and am affiliated with Borgess Medical Center, Bronson Methodist Hospital, and Woodbridge Surgery Center. I see adults and children, carefully listening and providing explanations in understandable language. I treat ear and sinus disorders, swallowing and breathing difficulties, head, neck, and throat diseases as well as allergy conditions. I am an avid wildlife photographer and enjoy traveling with my family. I am also a collector of military aviation art which is displayed around the office for patients to enjoy. I completed my medical school training at the Chicago College of Osteopathic Medicine. I finished my five years of residency training in otolaryngology and facial plastic surgery in 2012 at Botsford Hospital, a part of Michigan State University. 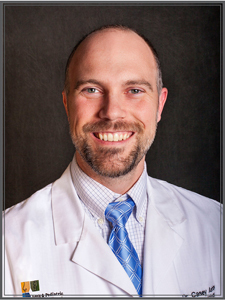 I am a board-certified doctor of osteopathy in otolaryngology and facial plastic surgery. I believe that people should be at the center of their care. I work with my patients to develop an individualized treatment plan that will work best for them. I will make certain to address your concerns and questions so that you leave my office with a full understanding of your medical care. While I enjoy helping people with all types of ear, nose, and throat problems, I have a special interest in helping those with hearing loss and chronic ear infections. During my free time I love to hike around local and national parks with my wife and three boys, take care of my tropical fish and shoot aerial videos with my drone. I received my Master’s degree in physician assistant studies at Western Michigan University in 2003. I received my Bachelor’s degree in biomedical sciences from Grand Valley State University. I have practiced with Dr. Shapiro in otolaryngology since graduating from PA school. I belong to organizations that include the Society of Physician Assistants in Otolaryngology, the Michigan Association of Physician Assistants, and the American Academy of Physician Assistants. Being a long time resident of the Kalamazoo area, I enjoy playing hockey and watching Western Michigan football games with my family. I graduated from Michigan State University College of Osteopathic Medicine, completing my residency at Beaumont Hospital in 2017. I am a board-eligible otolaryngologist and facial plastic surgeon. I have additional surgical training using robotics technology and specialize in tongue-base surgical interventions. My focus is on improving patients’ overall care and treatment with disorders that affect upper-airway breathing, speech, and swallowing, as well as balance and hearing. I enjoy outdoor activities such as bicycling and paddle boarding and spending time with my four-footed bestie, Woodson. I graduated from Western Michigan University with a Bachelor of Science degree in Speech Pathology and Audiology and received my Master of Arts in Audiology in 1989. I am licensed in the state of Michigan and a fellow of the American Academy of Audiology. After taking a communication disorders class in college, I decided to pursue a career in audiology. I love working with people of all ages and am experienced with all forms of testing, hearing aid evaluations and fittings, and custom specialty ear molds. I also specialize in fitting/programming bone-anchored hearing aids (BAHAs). My goal as an audiologist is to help patients hear better and bring back the sounds they have been missing. I grew up in the Kalamazoo area and have two children. I enjoy traveling and outdoor activities such as gardening, boating, lying on the beach. I’m a proud military mother and regularly volunteer with veterans and military family support groups. I enjoy testing and treating patients with all types of hearing impairment but have a passion for hearing aid services. I entered this profession to help people improve their lives through better hearing. I love that every day I am connecting people to not only missed sounds but life experiences. I grew up in northeastern Pennsylvania and lived in Massachusetts and Connecticut before moving to Michigan with my husband for his corporate relocation. I enjoy spending time with my family, participating in team sports, attending my children’s music recitals and sporting events, swimming, biking, gardening, travel, and walking my dog, Oatmeal. ©2019 Paragon Health, PC All Rights Reserved.